RAH Final Tickets Onsale NOW! Tickets are now on general sale for the Championship Section Final of the National Brass Band Championships of Great Britain 2018. 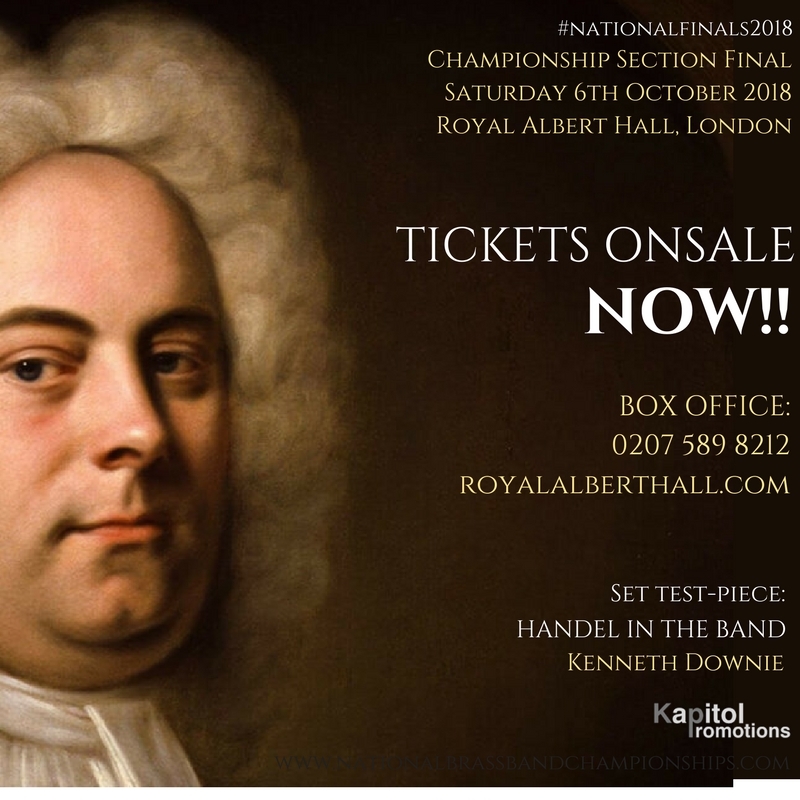 Buy your tickets without delay to ensure that you'll be at London's iconic Royal Albert Hall on Saturday 6th October, where Great Britain's top bands battle it out to be crowned National Champion Band!